Acupuncture originated in China where it continues to feature in mainstream healthcare, both as a stand-alone therapy and in combination with conventional western medicine. Please get in touch with me to discuss your particular condition, whether it is on this list or not. We will spend some time talking about your health and lifestyle. I will make a traditional Chinese Medicine diagnosis and formulate a personal treatment plan. 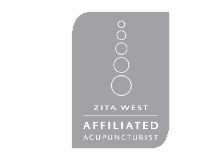 Very fine acupuncture needles are inserted into acupuncture points and left for twenty to twenty five minutes. Your particular medical condition and your response to treatment will determine the length of your treatment. However, a weekly treatment for four to six weeks is usual and then your condition is reassessed.